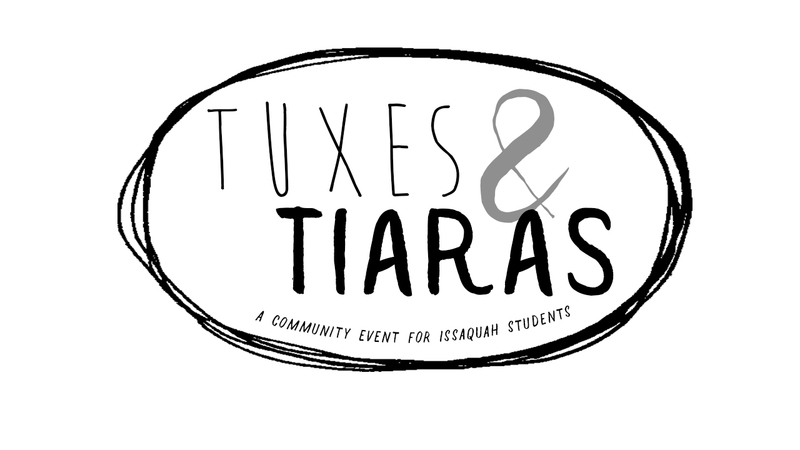 Tuxes & Tiaras is a community event held in partnership with the Issaquah Food & Clothing Bank and Issaquah School District High School PTA's. This fun and free event is open to students attending dances at Issaquah, Liberty, Skyline or Gibson Ek High Schools. Students can shop for dresses, suits or tuxedos, shoes and accessories - and get styling assistance if needed! School dances are some of the most important memories for high school students - Tuxes & Tiaras helps make each school dance special for each student. Tuxes & Tiaras Prom 2019 will be at The Garage (Issaquah's teen cafe!) Saturday, April 27 from 2-6pm. Don't have items to donate but want to help? Monetary donations are welcome and will be used toward tuxedo rentals, accessories and supplies. Click here to make a monetary donation. We need volunteers to help us make this special event happen for our students - register to volunteer today! Download the flier to help us spread the word! Come shop Tuxes & Tiaras! Want to attend the event? No registration necessary - just stop by! Prom shopping will be April 27 from 2:00 to 6:00 pm at The Garage, Issaquah's teen cafe. Click here to get directions.